The McMillan Committee of the Mecklenburg Bar Foundation is pleased to announce that the 2018 McMillan Fellowship program was able to award $29,000 in Fellowships to 10 McMillan Fellows at the following six agencies: Council for Children’s Rights, Mecklenburg County District Attorney’s Office, Mecklenburg County Public Defender’s Office, Safe Alliance, the U. S. Attorney’s Office and the U.S. Equal Employment Opportunity Commission. The 2018 Fellows and the projects on which they worked will be featured in the Bar newsletter later this summer. These Fellowships are primarily funded through the annual McMillan Dinner, which was held on February 27, 2018, at The Terrace at Cedar Hill. The deadline for receiving applications for this year's Fellowships is March 1, 2019, at 5 p.m. Applications may be sent to the Mecklenburg County Bar & Foundation Center by mail (McMillan Fellowship, 2850 Zebulon Avenue, Charlotte, NC 28208) or by e-mail (lcampbell@meckbar.org, subject line: McMillan Fellowship). The Hon. 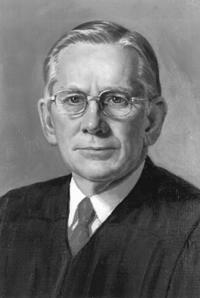 James B. McMillan Fellowship Fund was established in 1995 to honor the memory and example of U.S. District Judge James B. McMillan. 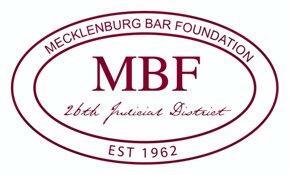 It is a separate fund of the Mecklenburg Bar Foundation, a non-profit corporation to which contributions are tax-deductible. The Fund has a goal of promoting justice and innovation within the legal system in Mecklenburg County, North Carolina, by awarding fellowships to law students desiring work experience with not-for-profit or governmental agencies. Typically, fellowships are awarded for summer positions, but the Fellowship Committee will consider applications for positions during a semester of the school year. The committee will make a selection and notify all applicants by March 15, 2019, of the selection of fellows. Guidelines for Agencies Seeking a Fellow (download an application form). Agencies may submit applications for no more than two students per year. The Agency must be a not-for-profit or govermental agency. The Agency must submit a written plan for how it would use the services of the McMillan Fellow. The Agency will assure that the student's work experience will primarily occur in Mecklenburg County or for a satellite agency in one of the bordering counties that has its headquarters located in Mecklenburg County. that the majority of the work performed will be done in and for residents of Mecklenburg County or for a satellite agency in one of the bordering counties that has its headquarters in Mecklenburg County. Fellows are permitted to "split" the summer - e.g., working with a private firm for part of the summer and working in a Fellowship-funded public interest position in Mecklenburg County the rest of the summer. The Committee anticipates making individual Fellowship awards of up to, but not to exceed, $3,500.00 per Fellow.